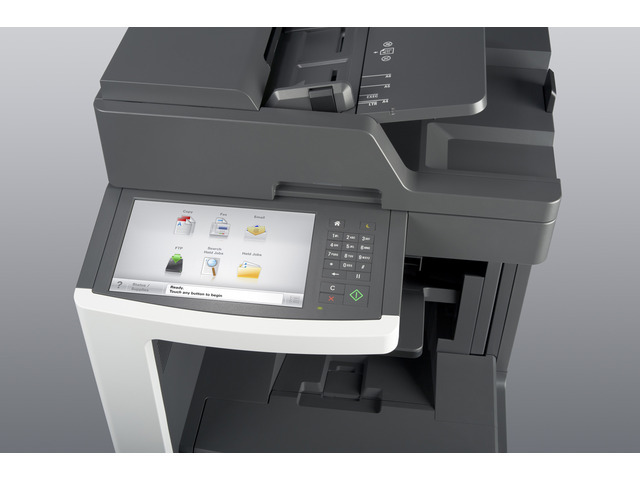 The Lexmark MX810dfe MFP with a customisable e-Task touch screen, staple finisher, 1,200-sheet standard input, 1GB of standard memory and a 160+GB hard disk provides print, copy, fax, scan and email functions. 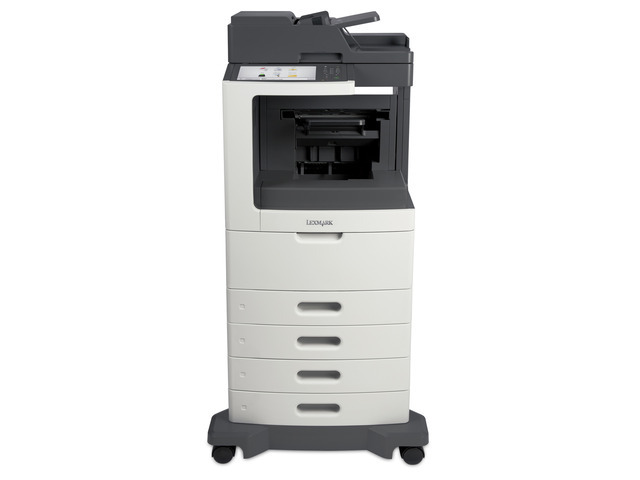 A vibrant, easy-to-use 25-cm (10-inch) class colour touch screen provides access to pre-installed workflow solutions. 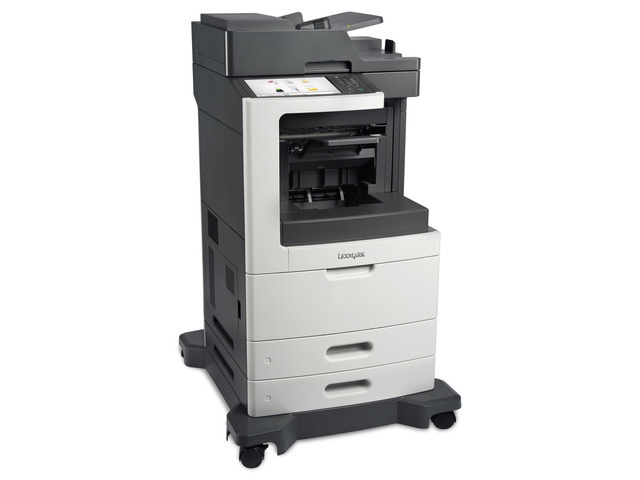 With a maximum input capacity of up to 2,750 sheets and an extra high yield toner cartridge, you won’t have to add paper or change cartridges as often. 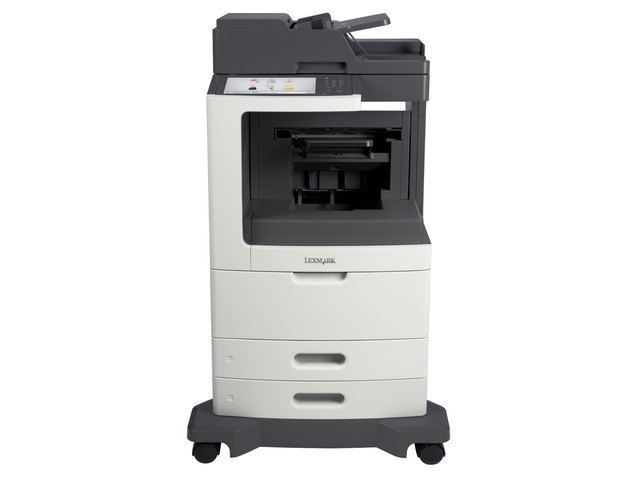 Enjoy print and copy speeds from 52 to 60 pages per minute, produce your first page in as little as 4.4 seconds and rapidly scan a two-sided document in a single pass. 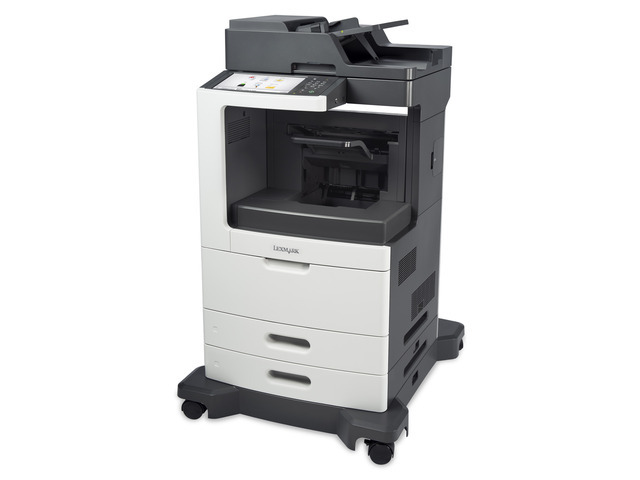 Improve your print, scan and copy speeds by taking advantage of up to 3 GB of upgradable memory, an 800 MHz dual-core processor and Gigabit Ethernet. 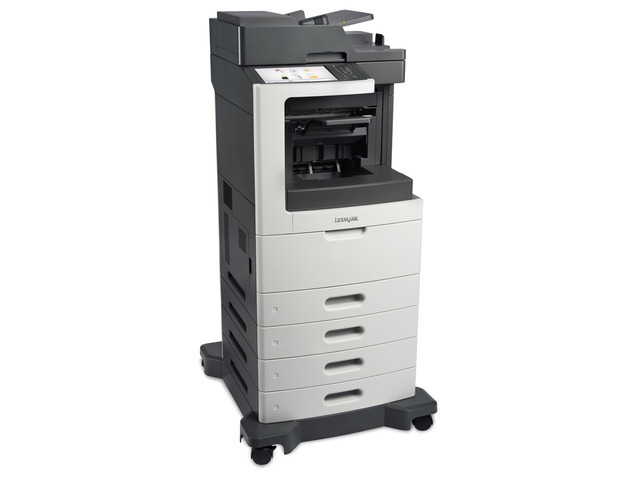 With built-in two-sided printing and the ability to print on diverse materials, you can do more for your business and use less paper. Capture both sides of ID/credit cards, print on one side of paper and save to a network folder. Hard disk not required, but offers extra storage. Capture and route a document to multiple destinations simultaneously. 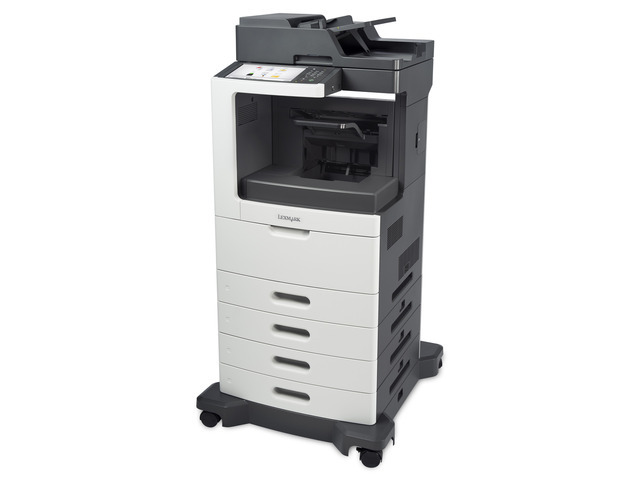 Documents are routed to email, network folders, FTP sites or to a remote Lexmark printer.